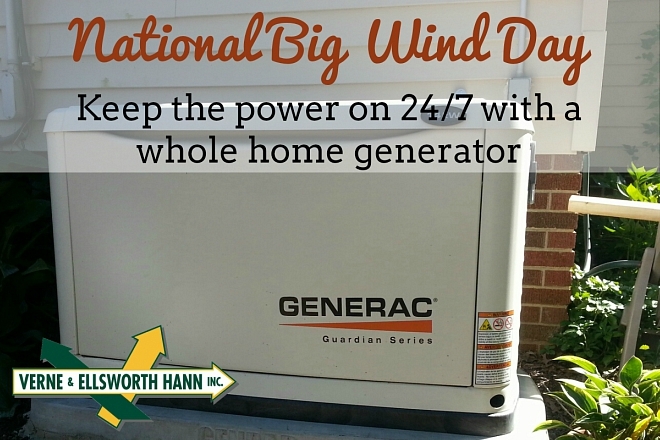 Did you know today is National Big Wind Day? On April 12, 1934 the highest surface wind ever measured was recorded at 231 miles per hour! High winds can certainly cause power outages in Greater Cleveland and can hit when you least expect it. More than just an inconvenience, an electrical failure can mean a refrigerator full of spoiled food, frozen or burst pipes and even a flooded basement which could cost thousands of dollars to fix. A permanent emergency back-up generator is essential to any household. A whole-home generator is permanently attached outside the home and are powered by propane or natural gas. when the power goes out, the generator will automatically turn on and power everything in your home, including heating, cooling, lights and appliances. When the electricity is restored, the generator will automatically power down. You are fully protected from blackouts all day, every day. There is no better piece of mind. Installing a new whole-home generator is a significant investment. Before you decide to purchase one, call Verne & Ellsworth Hann. 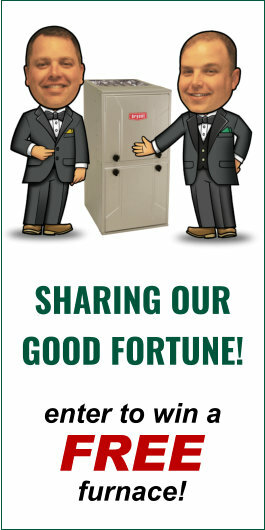 With 5 generations of Hann family experience, Verne & Ellsworth Hann has helped countless homeowners select the right generator for their needs, professionally install them, and make sure they are running smoothly for years to come.